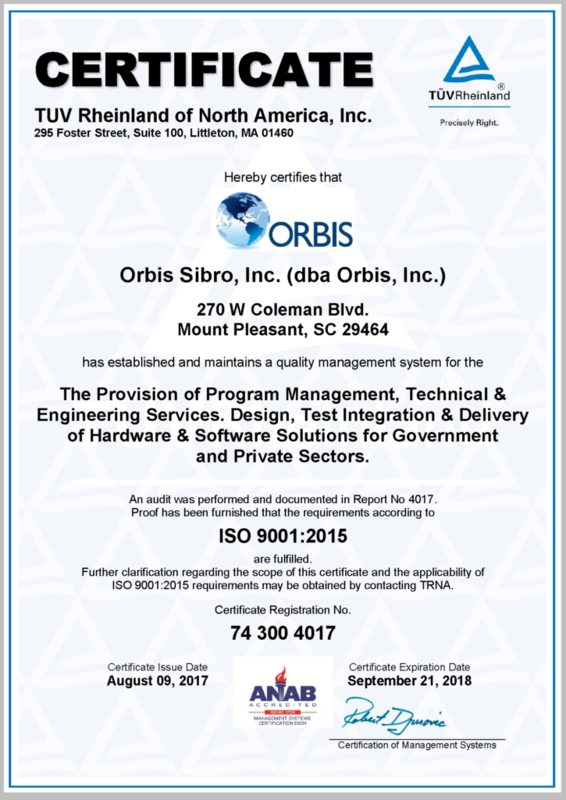 Maintaining a compliant quality management system that is committed to continuous improvement to ensure ORBIS consistently provides products and services that meet or exceed the requirements and expectations of our customers through value-added, innovative solutions to complex technical and program management problems. ORBIS Scope: The Provision of Program Management, Technical & Engineering Services. Design, Test, Integration & Delivery of Hardware & Software Solutions for Government and Private Sectors.